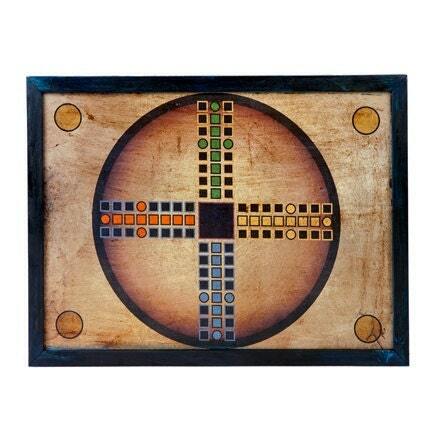 This board game is madehand in wood and it is designed for you to hang it on the wall like a painting if you want. It also has a rear storage to store the instructions, dices and counters when you are not playing. 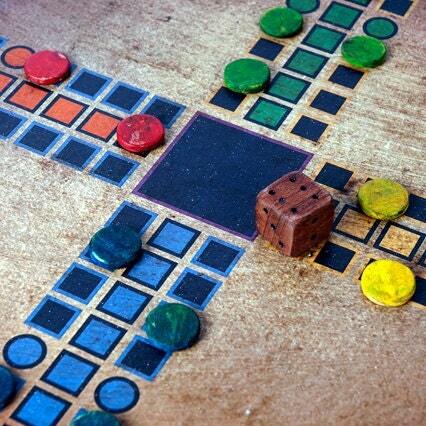 The Pachisi is a strategy game for two or four players and it could be considered the grandfather of the current Parcheesi. 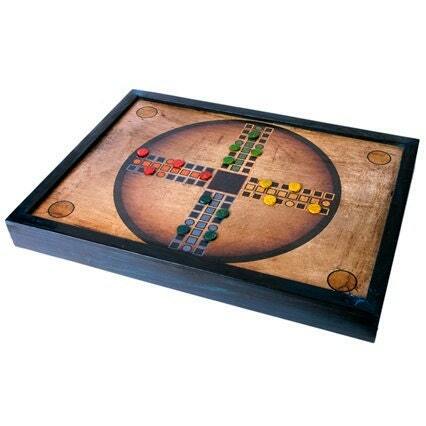 Considered one of the national games of India and Pakistan, it is a further evolution of the ancient game Chaupar. The goal in this game is to go around the board with all the counters in order to reach the central square called Charkoni. As in the Parcheesi, in pachisi you can also capture the opponent's counters as long as these are not in a castle or secure box.